Availability is crucial for Medeco. To maxmise availability S&OP is seen as an essential ‘instrument’ to further improve availability. To experience the importance of S&OP Medeco has asked Involvation to organize a work session for the commercial organization. Building block for this session is a supply chain simulation in which the effects of market developments are experienced and the participants find out themselves how to control them. Burg Groep is a fast growing supplier of vinegar, syrups, cleaners and automotives, that are sold mainly under private labels. Burg operates seven modern production sites in The Netherlands, Belgium, France and Czech Republic. 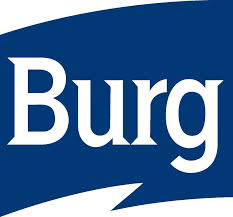 After good experiences with S&OP in bulk vinegar, Burg asked Involvation to support them with the design and implementation of S&OP in other parts of the organisation. FUJIILM has asked to Invovlation to facilitate the redesign of her S&OP process. Certis UK is a leading crop protection business committed to providing their customers with a wide range of innovative, integrated crop protection solutions, designed to overcome today’s production challenges. Certis Europe headquarters is located in the Netherlands and has direct operations in the key European markets. S&OP is an important tool for Certis to match the demand from the different European countries with the production and the supply of active ingredients. Certis asked Involvation to review and sharpen their existing S&OP blueprint. Together with Certis the information requirements for the S&OP process were defined and an analysis was made how a software tool can support the S&OP process. An S&OP software selection process was set up and the most suitable tool for Certis was selected. Akzo Nobel Salt Specialties is one of the world’s leading salt specialists, supplying high-quality products for all different kinds of applications. Salt Specialties exports its products throughout the whole world. These products cover a broad spectrum of grain sizes, ranging from micro fine, to coarse salt, to compacted products. The business is well known for the strong brand names under which its products are sold, such as Jozo®, KNZ®, Sanal®, Suprasel®, Broxo® and Broxomatic®. Akzo Nobel has indicated S&OP as one of the key drivers for improving the demand and supply planning. Key element is to make the right trade off decision that are in line with the business strategy. Also reduction of working capital is an important goal of S&OP. 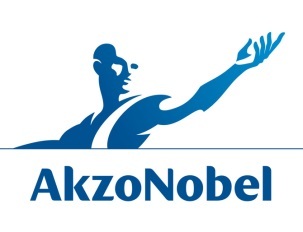 Akzo Nobel has asked Involvation to review the existing S&OP process and to (re)design a new S&OP blueprint. After designing the blueprint, Involvation also helped to implement the new S&OP process. 2 Sisters Storteboom continuously addresses the improvement of her customer service. With her relative long throughput times and short shelf lifes, a professional supply chain management is a premise for success. 2 Sisters Storteboom has asked Involvation for support with setting the next step in supply chain management. 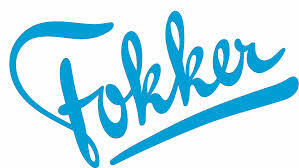 Herkel develops, produces and enhances farmaceutica land cosmetic goods and food supplements. Herkel has asked for support in the improvement of their demand- & supply planning. Together with teams from Herkel, the S&OP process and underlying planning processes are (re)designed. This allows Herkel to meet its customers demand even better.